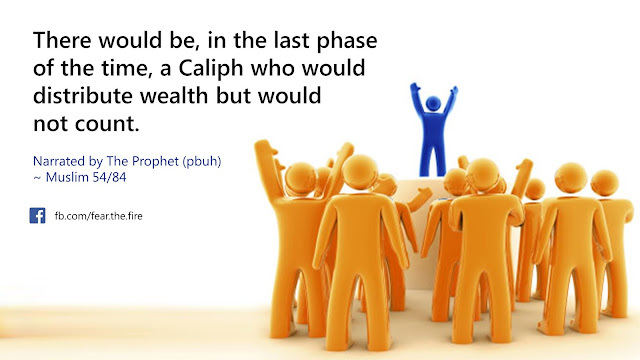 A caliphate is a form of Islamic government led by a Caliph (Arabic: Khalīfah). 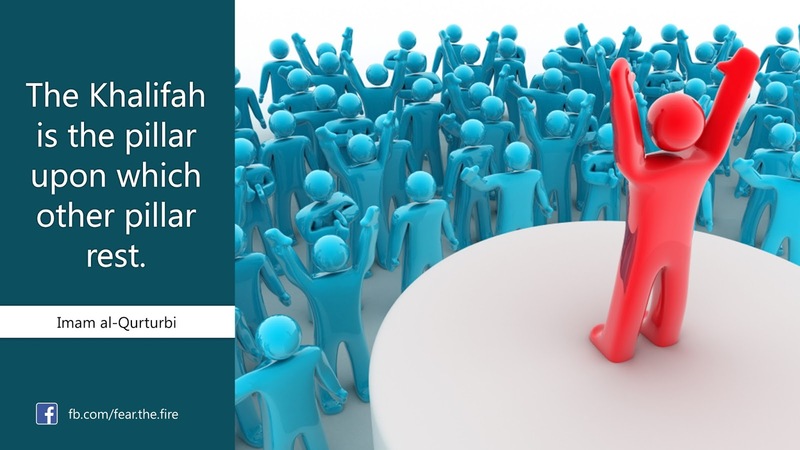 The Khilafah is the leader of all Muslims in the world. Its his responsibility to implement the laws of the Islamic system within the Muslim society and sustain it according to the guidelines laid by The Quran and Prophet Muhammad (pbuh). The Caliph is not a king or dictator but an *elected leader* whose authority to rule must be given willingly by the Muslims through a special ruling contact called Bay'ah. Without this bay'ah he cannot be the head of state. This is completely opposite to a king or dictator who imposes his authority through coercion and force. This contract of bay'ah stipulates that the Khalifah must be just and rule the people by the laws of Sharia. He is not sovereign and cannot legislate laws from his own mind that suit his personal interests. Any legislation he wishes to pass must be derived from the Islamic legal sources through a precise and detailed methodology called ijtihad. If the Khalifah legislates any law contrary to this or commits oppression against his people, the highest and most powerful court in the State can impeach the Khalifah and order his removal from office. The Khalifah can be from any race or colour, and from any school of thought (Madhab) as long as he is Muslim. The Khilafah is an expansionist state but does not conquer new lands in order to steal their wealth and resources or oppress its people. 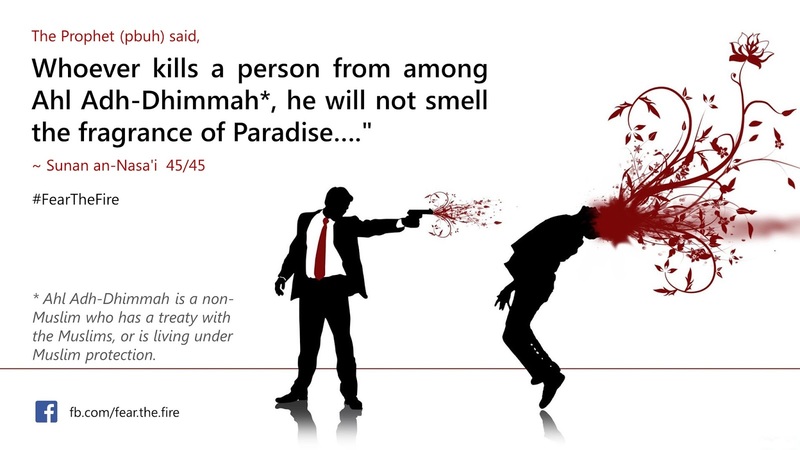 Rather its foreign policy is to convey the Islamic message alone. 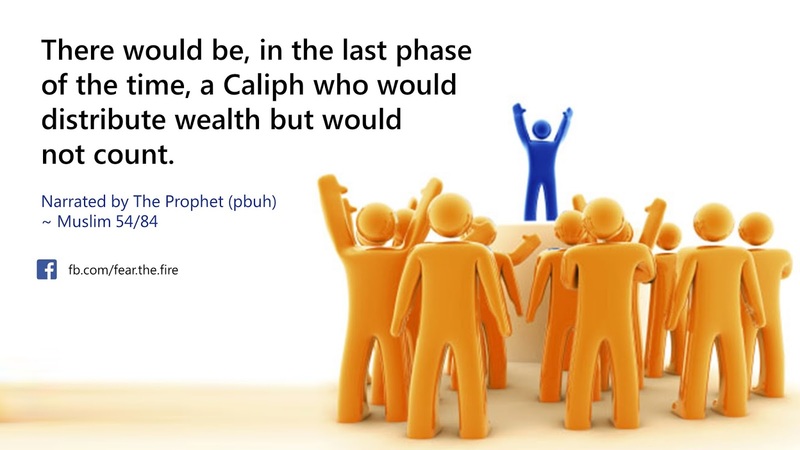 There were four Rightly Guide caliphs in the history of Islam after Prophet Muhammad's death. Last but not the least establishing the Caliphate and appointing a Khalifah is obligatory (Fard al-Kifayah) on all Muslims in the world, male and female. Performing this duty is the same as performing any other duty which Allah has ordered us, where no complacency is allowed. 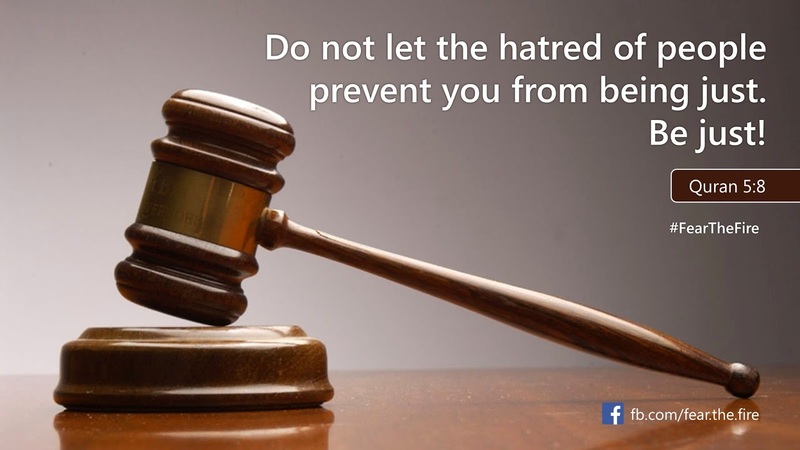 Justice is one of the core principles of Islam. 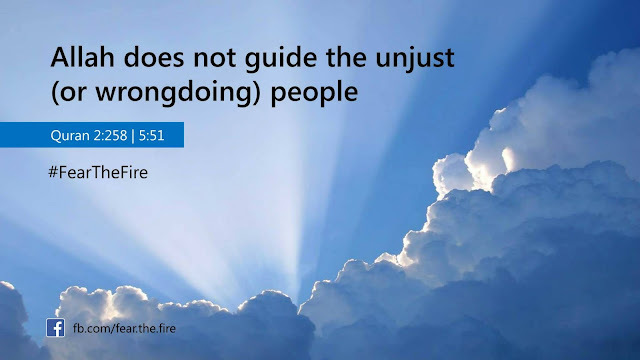 The Islamic system of justice is not limited to Muslims under Caliphate rule but it also extends to the entire ecosystem within its territory, including Non-Muslims and other animate beings like animals, birds and all that exists. Historically under the system of Khalifah even the non-Muslims got the best attention and justice. On the day of resurrection, there will be only 7 kinds of people who will be in the shade of Allah, when there will be no other shade. One the them will be 'The Just Ruler'. 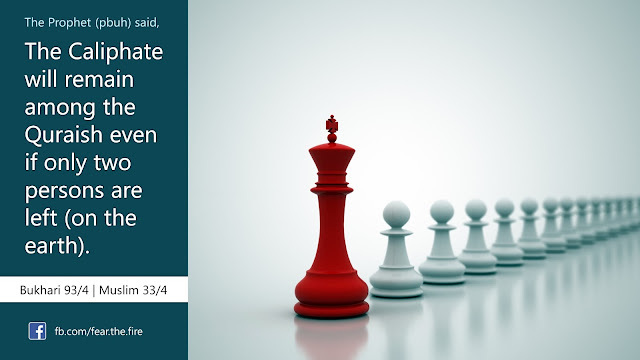 Following 3 verse from the Qur'an warns the ruler on how he should rule his territory - be it Muslims and non-Muslims living in Muslim country. More here. All Khalifahs (12 of them, including the last one) will be from the tribe of Quraish. Click here to find out more about the tribe of Quraish. 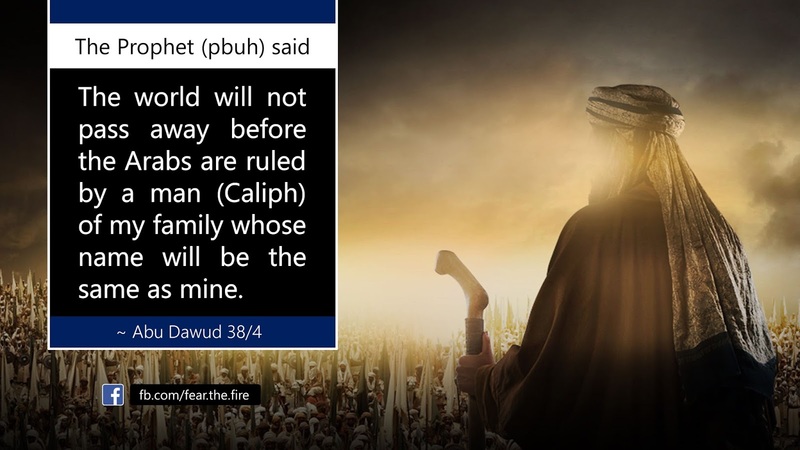 What if someone else claims to be a Khalifah? The Caliphate system was systematically destroyed by the West in 1924. They knew they cannot be be successful with their mission - to implement New World Order - as long as Muslims are united. 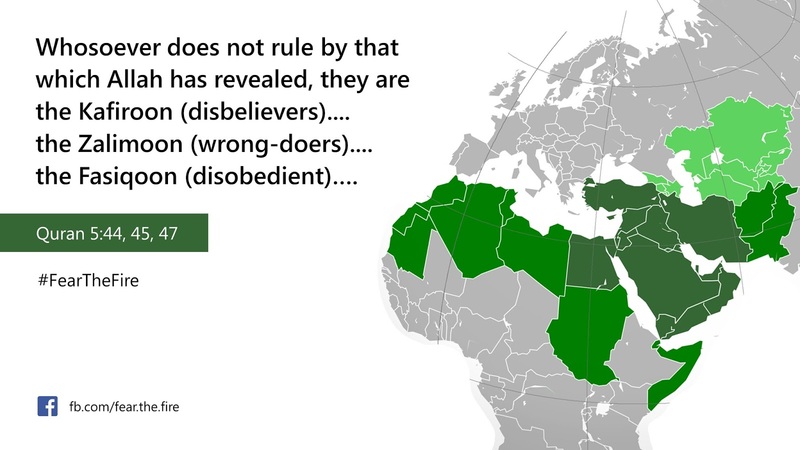 To break the unity among Muslims it was important to abolish Caliphate system and divide Muslim lands into territories led by Monarchs or Kings. We see that today across the Muslim world. This video should give some perspective. Also read this article that provides interesting perspective how the events unfolded. 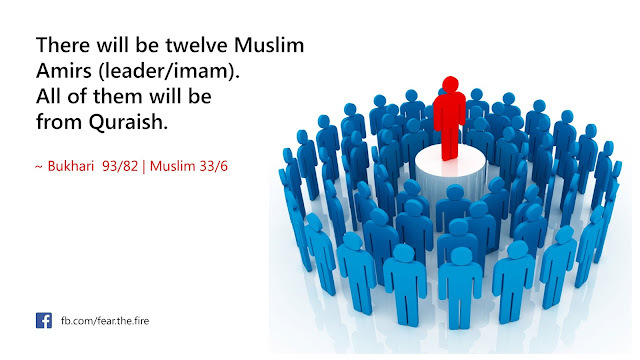 Imam al-Taftazani said, "There is a consensus that appointing a Khalifah is obligatory. 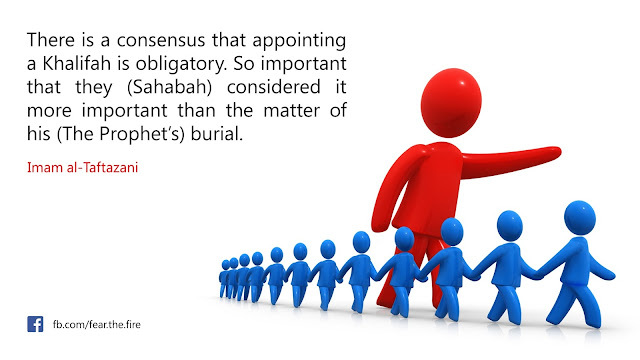 So important that they (Sahabah) considered it more important than the matter of his (the Prophet's) burial." It must be noted that The Prophet (pbuh) was buried on the third day after his demise, as the Sahabas (companions of The Prophet) could not collectively decide who will be the next leader. Once the first Khalifah of Muslims was decided, per consensus, The Prophet's body was then buried. Imam ibn Taymiyyah said, "It is obligatory to know that the office in charge of Imamah (Khalifah) is one of the greatest obligations of the deen. 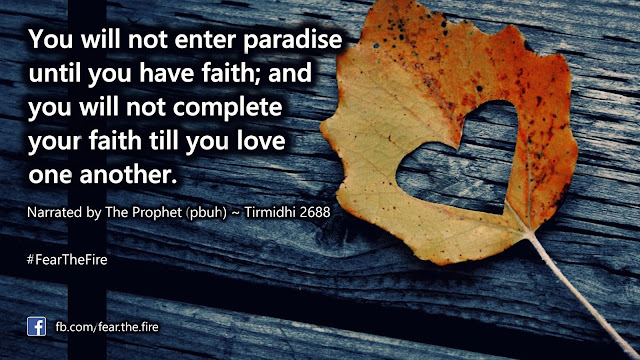 In fact there is no establishment of the deen except by it." 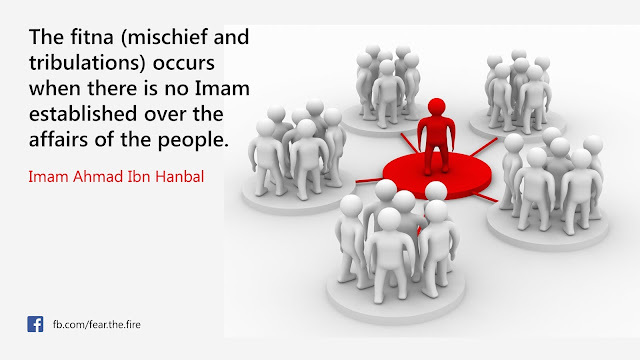 Imam Ahmad ibn Hanbal said, "The fitna (mischief) occurs when there is no Imam (leader) established over the affairs of the people." 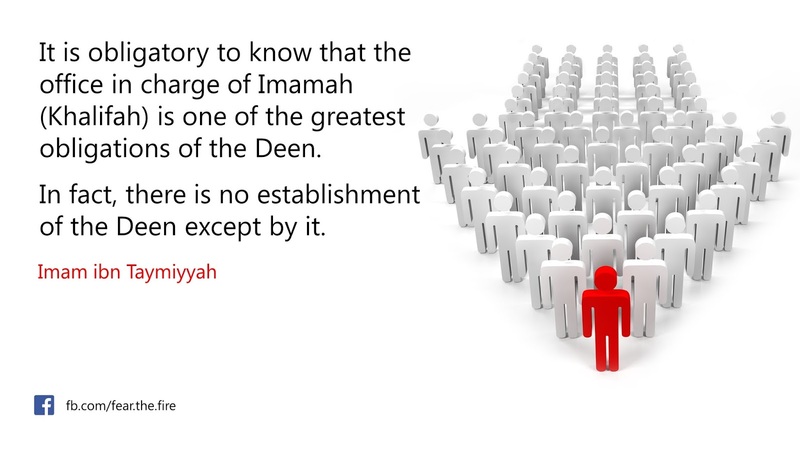 Imam al-Quturbi said, "The Khalifah is the pillar upon which other pillar rest." 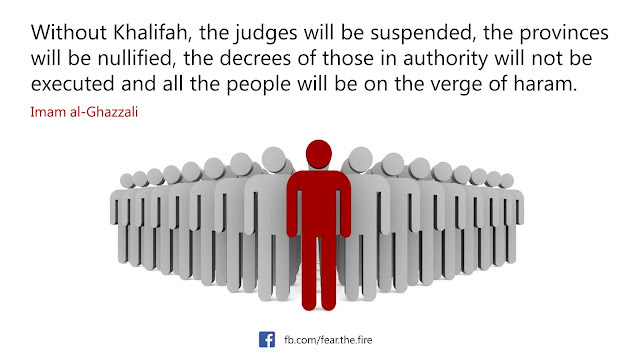 Imam al-Ghazali said, "Without Khalifah, the judges will be suspended, the provinces will be nullified, the decrees of those in authority will not be executed, and all the people will be on the verge of haram." 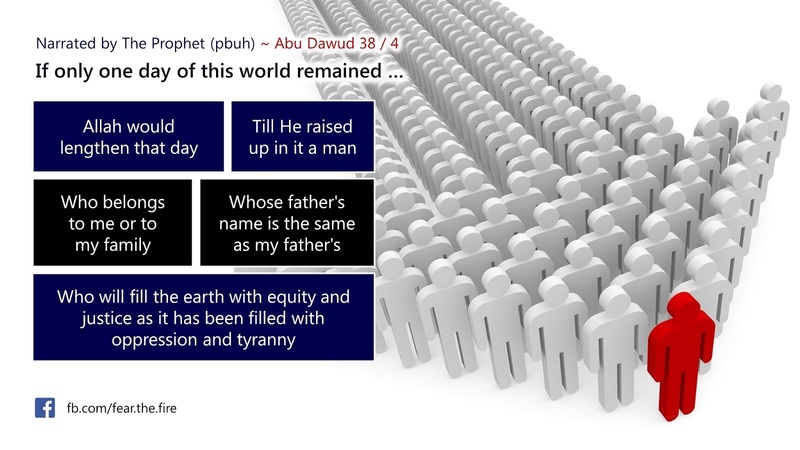 What will be the name of the last Khalifah? What are the signs? Thus before the God-sent Khalifah appears and people give him the Bay'ah, there will be a lot of oppression and tyranny around the world. We can already see this in the world today. So when the time comes, the Khalifah will be known by all and he will overhaul systems (based on Allah's commandments) so that there is peace and tranquility in this world. 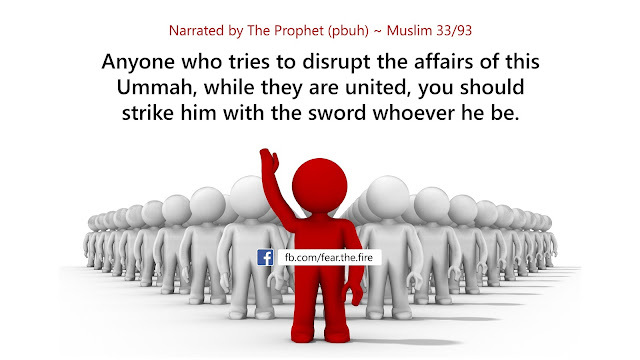 When Jesus (pbuh) descends, he will team with him, The Khalifah, The Mahdi, to fight AntiChrist (aka Dajjal).